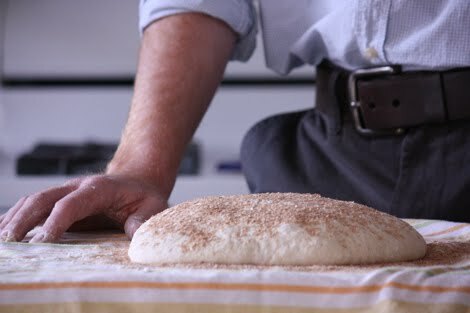 Making my own bread always reminds me of the importance of patience. A good lesson as one recovers from cancer treatment I think. Good bread, like anything in life, is worth the wait. I admire your diligence. Yes, good bread is worth the wait, but I also agree with you: the reason God invented cities and supermarkets and bakeries is because other people can make tasty loaves as well. That said, if bakeries and supermarkets are on the "Don't Go There" list, then making bread is a must. I've tried a few times and the bread usually comes out with the general texture and consistency of croquet ball. 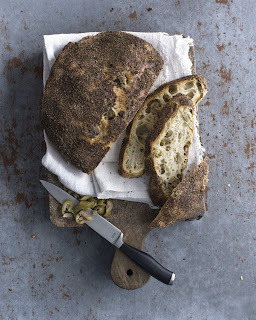 So if you can make edible bread, my hats off to you. Enjoy "The Sisters"....sounds like the title of a Gothic novel or maybe the story of a nunnery. Yumm, the bread looks great! So glad you are home and doing well. The ED visit sounded over the top, but normal for an ED. I sent you a card, but it came back...so I think I sent it to the wrong address.